The Pharaonic Hieroglyphic language is the origin of the Coptic language. 1. The Hieroglyphic language was known since 4200 years before Christ, whereby each picture meant one word. 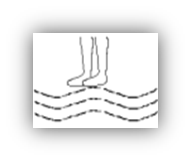 (Two legs on water) = impossible. (One bundle of wheat) = the first month of summer. 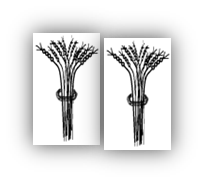 (Two bundles of wheat) = the second month and so on. (One line of drops) = 1st month of winter. (Two lines of drops) = 2nd month of water and so on. 2. There is a version of the Hieroglyphic language named Hieratici - which was the language used by priests for their religious purposes. 3. 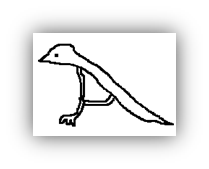 In around 2400 BC, the hieroglyphic language was modified and developed to a demotic language (=public) whereby each picture meant one letter – the beginning of the name of this picture. 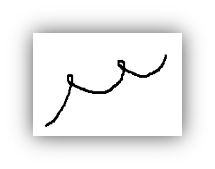 The demotic script was modified by the Senatics and the Phoenicians to the Greek script (24 letters). Around the end of the 2nd century, and the beginning of the 3rd century AD, the early fathers of the Coptic Church (in the Theological school of Alexandria), modified the Greek letters and the demotic letters to the Coptic script (32 letters). They added 7 letters from the demotic script to the 24 Greek letters, and 1 letter as the number 6 to fulfil the pronunciation of the Coptic language in order to translate the Holy Bible from the Greek to the Coptic language. The numbers in the Coptic language were taken from the letters, with the addition of a dash above the letter, or in big numbers, underneath the letter. Copts started to speak Arabic gradually after the Arabs entered Egypt. By the 14th century, the Arab language was dominant over the Coptic language in daily usage, which remains only in Churches and Monasteries until now. The Coptic language is very important to translate and study old manuscripts, especially for the Holy Bible.